Florida Gulf Coast Dulcimer Retreat are GO! 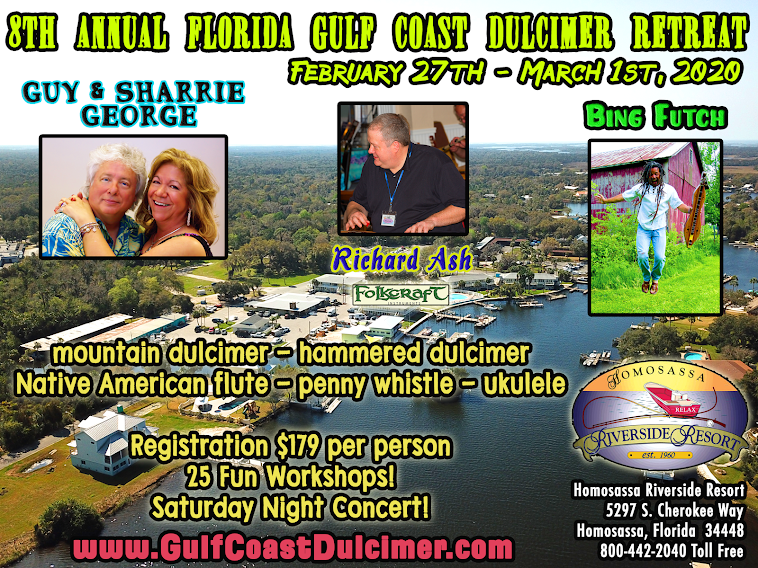 The Florida Gulf Coast Dulcimer Retreat will take place January 31st - February 3rd, 2013 in Homosassa, Florida; just west of Orlando. Sponsored by Folkcraft Instruments, the four day retreat will all take place at the Homosassa Riverside Resort. $99 gets you any and all of the workshops and Saturday night concert. 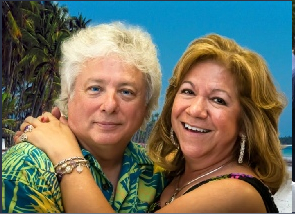 National recording and performing artists Bing Futch and Guy George and Sharrie George will be entertaining and informing during this first-ever four-day event. 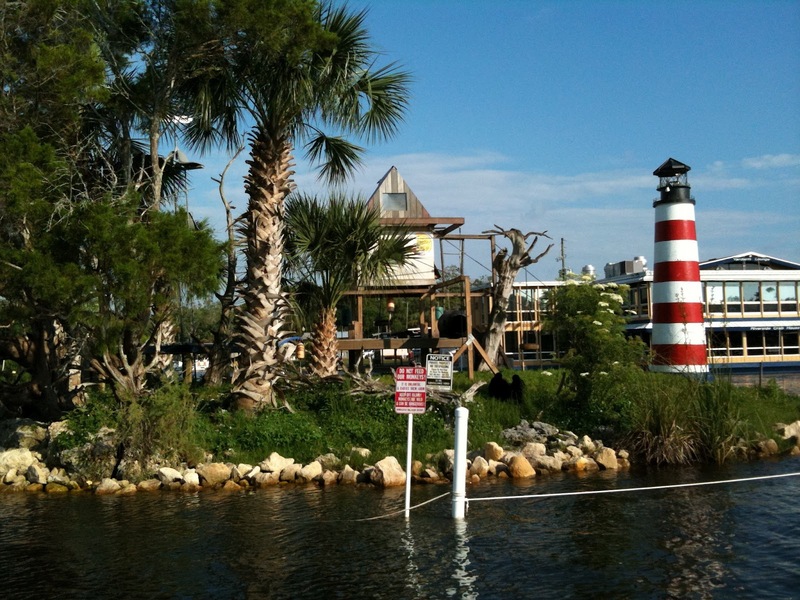 Homosassa Riverside Resort is a fabulous property with access to riverboat rentals, fishing charters and markets, wildlife observation, swimming and dining. They are reserving a block of rooms for the retreat. Workshops will take place Thursday - Sunday and will not run concurrently, so no worries about choosing between such great classes - you can take them all. And at the pace we've set, you'll still find time to wander about and discover the magic that is Homosassa Springs. 9 am - 10 am - Seven Modes For Seven Dulcimers! ALL WORKSHOPS WILL BE HELD IN THE MANATEE BALLROOM. Scroll down for workshop descriptions. Easy to get to and we're going to have a breeze - part of a little sub-tropical tour of events in the winter of 2013. 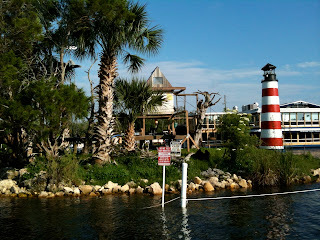 Make your reservations at the resort - there are only so many of those nice waterfront rooms to go around. You're within walking distance of the Manatee Ballroom, where workshops and vending are located as well as the Monkey Bar, Yardarm Lounge and Riverside Crab House for food and beverages in the heart of old Florida. Reserve your place now! Six sessions will present workshops each of the four days in mountain dulcimer, hammered dulcimer, penny whistle, Native American flute, steel drum, ukulele, and more! • Seven Modes For Seven Dulcimers! Guy George, from Cleveland, Ohio, is a rhythmic, melodic hammered dulcimer player with a definite jazz influence to his playing style. Guy comes from a background in jazz and performance on the saxophone, having studied at Berklee College of Music in Boston; honing his skills playing with many jazz influenced musicians in the Boston and New York area. He has settled outside Cleveland, Ohio and presently plays hammered dulcimer, tenor, alto and soprano saxophones, flute, steel drum and keyboard. 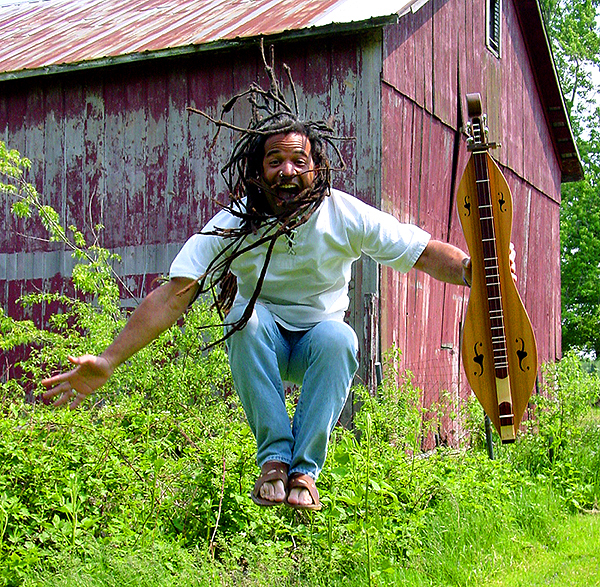 He has made his name in the dulcimer world as a performer, instructor, author/publisher and recording artist. 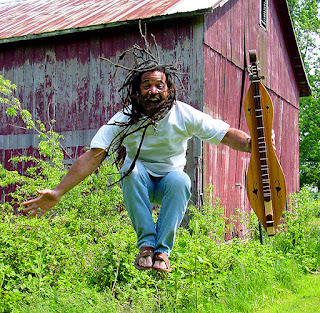 He tours throughout the United States and Canada performing and recording and teaching workshops on the hammered dulcimer, steel drums, and penny whistle. His teaching style is relaxed and fun, as he teaches tunes of many different genres and styles. In addition, he incorporates methods for more advanced practicing and playing techniques while simultaneously entertaining his students. Guy has authored 13 books arranged for hammered dulcimer, steel drum, pennywhistle, and other instruments, which are distributed around the world through Gesani Publications, a company he and his wife, Sharrie, own and operate. In recent years, Sharrie George has emerged as a talented performer and instructor in her own right. Her solid timing and clean rhythms have made her an important part of Guy's groove in more ways than one, plus she's fun and helps you work on what you need the most. 1. Beginning Hammered Dulcimer - Find your way on your hammered dulcimer - learn or review all your basics, where the notes are and easy tricks to finding them, how to use your hammers for the best sound, and how to play a simple melody, as well as chord back up for tunes, and some chord arpeggios. This can be a review if you’ve learned a little, but want to pick up a few tricks for better playing, or a first class if you’re just starting. 2. Blues for Hammered Dulcimer - Intermediate to Advanced level - Put a little blues in your play- ing. We’ll learn a blues progression, and learn how to put that into practice with some of your reper- toire. Add a ‘bluesy’ sound when you want to change things up as you play! 3. Chords on HD - Chord rhythms and back-up - Past Beginner to Intermediate level - Take the mystery out of playing chords on the Hammered Dulcimer! Learn some easy back-up techniques and how to use them in a tune. 4. Da Slockit Light - Intermediate Level - Learn a beautiful arrangement of this tune from the Shet- land Islands. Perfect piece for weddings, church services, and concerts! 5. Calypso for HD - Learn a few island tunes to add to your repertoire and how to get that wonderful “calypso feel” in your playing. Learn melody, harmony and back-up parts to play with other hammer or mountain dulcimer players, or any other instrument! 6. Island Combo class - HD, MD, Uke - All Levels - Bing, Guy, and Sharrie will each take a few minutes to go over the parts played by their instruments, section by section, and then we’ll put the whole thing together - we’ll learn as many tunes as possible - and then jam on them at the end! Get ready for the “Pirate Jam”! 7. Steel Drum - Beginning Level - Learn how to play an authentic steel drum! We’ll have some Jumbie Jams available to try. Learn the basics and be playing melody and chords on this great island instrument! Great re- fresher if you haven’t played in a while. 8. Steel Drum - Intermediate Level - Take your steel drum playing to the next level as we learn more about steel drum back-up. We’ll learn a few new tunes with melody and all the parts! 9. Pennywhistle - Beginning Level - Learn how to play the easiest instrument to carry around! We’ll have you playing and sounding good in 2 keys in this first lesson! Inexpensive, great sounding “D” whistles will be avail- able at our vending area. 10. Pennywhistle - Intermediate Level - Duets - Calypso, fiddle, and other tunes will be taught with at least 2 parts for each! 1. Beginning ukulele - Have fun learning the basics on ukulele - tuning, chords, and a few strums as we learn a few fun tunes! 2. Past Beginner Ukulele - If you know the basic chords and strums, you’re ready to move on to a few more chords, strums, and more fun tunes! Learn some of the ukulele all time favorites! 3. Intermediate Ukulele - Intro to finger-style playing - Learn a few finger-picking patterns to help you get started playing chord-melody on your ukulele. We’ll play back-up and melody, and learn how to put those to- gether for chord melody. You must be comfortable playing and changing chords quickly to take this class. 4. Beginning Guitar or Baritone Ukulele - Have fun learning the basics for guitar or Baritone Ukulele - Tuning, basic chords (in Jammin' keys! ), a few easy strums and then we'll use our new skills to play a few familiar tunes. Be ready for the next jam in no time! Guitar and Baritone are very similar, so we can have both instruments going at the same time - Chord charts and tunes will be available for both instruments. Workshops will all take place in the Manatee Ballroom and will take place one after the other - never at the same time. Register now to get your place! 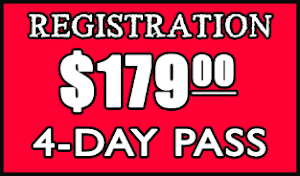 Only $99 Per Person To Register! We're very excited about this new event and are grateful to Folkcraft for sponsoring our maiden voyage. 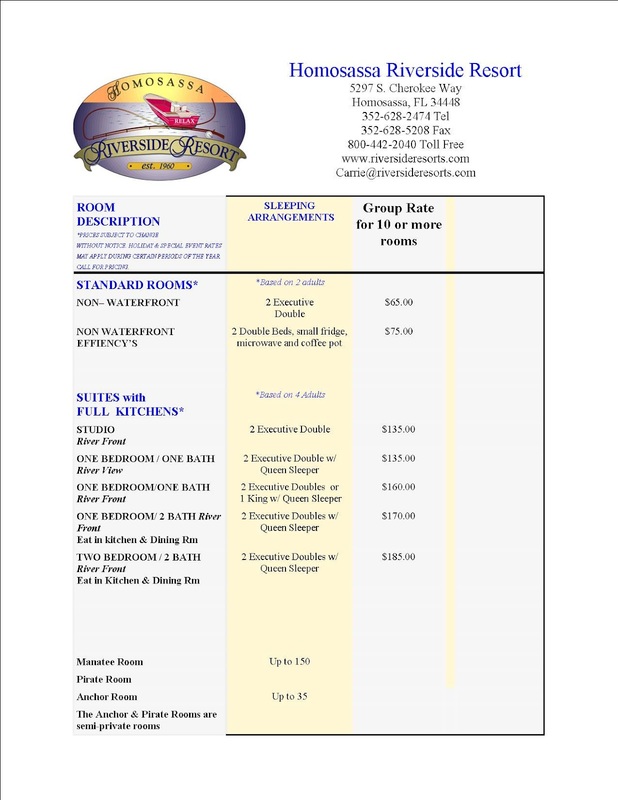 Be sure to contact the Homosassa Riverside Resort to make your reservations! 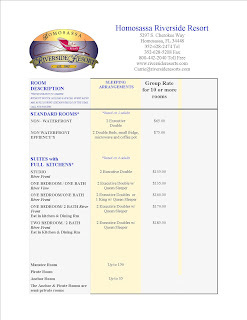 Call 352-628-2474 or Toll Free 800-442-2040. Subscribe to this blog as there will be updates here along with posts on local attractions and inside tips on getting the most out of your stay. Looking forward to sharing one of our most favorite places in the world with you!